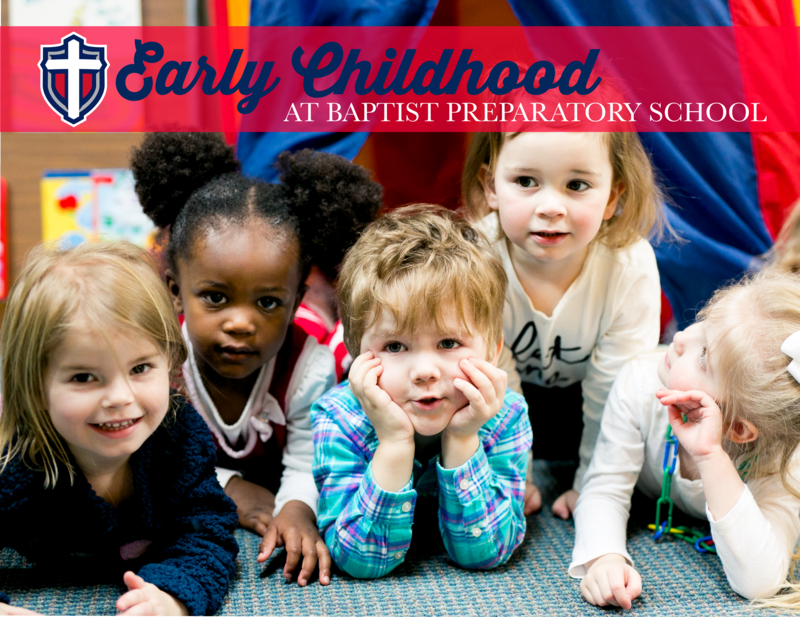 The purpose of the Baptist Prep Early Childhood Center is to encourage and empower mothers and families by providing a safe, happy, loving environment for their children. We provide care for children between the ages of 8 weeks (with shots) and 2 years old. Our program hours are Tuesday, Wednesday and Thursday mornings: 8:10—11:30 a.m. In order to register a child, parents must complete the online registration and pay the non-refundable $75 registration fee. The registration fee is required of each family, not each child. A $30 curriculum fee to cover the costs of curriculum, snacks, special projects and other supplies is required for each child. The cost of tuition is $19 a day per child. After completing the online registration, please bring copies of each child’s immunization record and birth certificate as well as the registration fee and curriculum fee(s) to the Early Childhood Center Office before school begins. Priority will be given to those families currently enrolled in Baptist Prep Early Childhood Center at least once a week as well as to those families currently enrolled in the lower school. We reserve the right to close registration for a particular class if the enrollment in that class causes the room to surpass or meet the maximum number of children allowed in a class according to the room’s capacity. If space is available you may add days. Payment for adding days is due immediately. The rate to add days is the same as any other registered day. Drop In rates ONLY apply to families who are not registered with our program but need to use our services on occasion. If space is available you may switch days WITHIN the same week. If you have to miss your registered day and there is space available on another day of that week you may change. If there is not space available you will not be given credit. Children may drop–in if space is available in the appropriate classrooms. Drop-in spots are available on a first come, first served basis and must be reserved in advance. Often, we will not know if there will be space available until Tuesday, Wednesday, or Thursday mornings. You are always welcome to call and check availability. The drop-in rate is $25 per day per child. Register an "Attendee" for each child that will attend.